Something for the weekend? If you love to drive and fancy treating yourself to a car with performance credentials, Parkers is here to help. 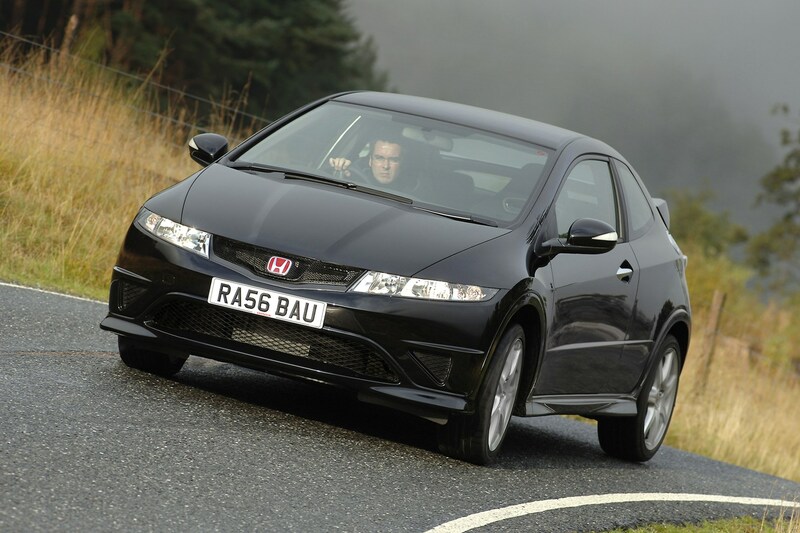 Whether you’re after a hot hatch or a V6 sports car, you’ll find a huge amount of choice out there for a £10k budget. Here are our favourites. What do you do when a GTi just isn’t enough? The R32 is Volkswagen’s answer – a Golf fitted with a monstrous (if thirsty) 3.2-litre V6 petrol engine powering all four wheels. This means epic acceleration and also a highly addictive bellow from the exhaust as you push the throttle. You’re buying into VW’s reputation for great build quality too, and since it’s 20mm lower and has bigger brakes than the GTi it’s also the best-handling of the Golfs of this era. Watch out for cars that have been modified – this could be a sign the car has had a tough life. If you can find one with a twin-clutch ‘DSG’ gearbox you’ll have a car that’s simple to drive around town and lightning-fast on your favourite B-road. It’s an automatic, but shifts far quicker than a manual car can hope to achieve. Don’t rule out the six-speed self-shifter either though, it’s a great ‘box in its own right. 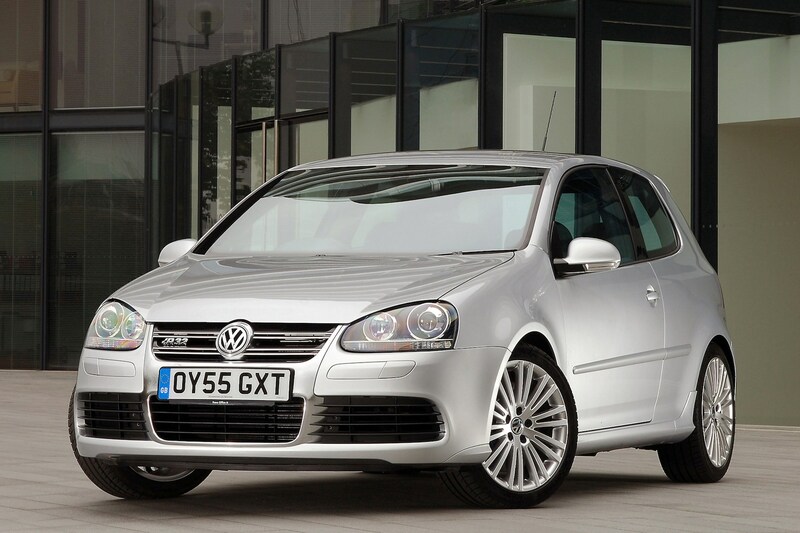 In 2010 the R32 made way for the Golf R - which can be found in our budget, and features a 2.0-litre turbo petrol producing 271hp. 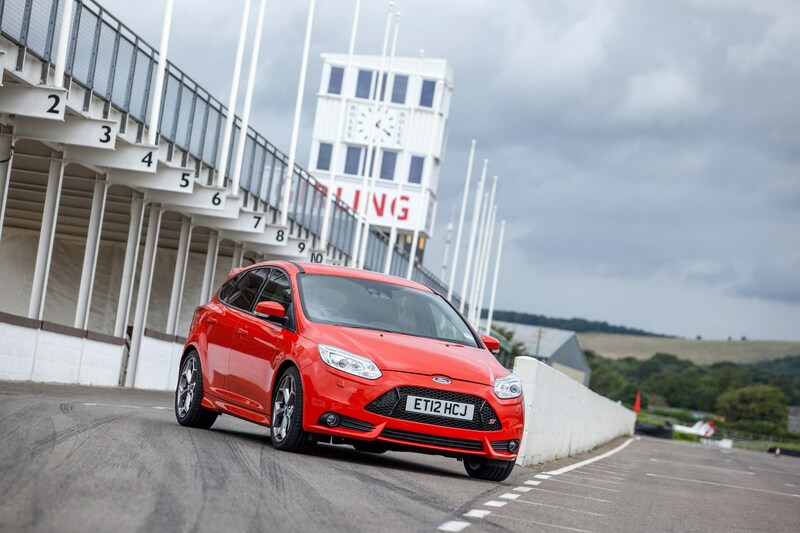 As an everyday performance car, the ST is a great proposition. Replacing the previous generation's 2.5-litre five cylinder engine is a more economical 2.0-litre turbo, but there's more power and it’s great to drive. Engine noise in the cabin is artificially boosted (but not electronically faked) and some feel has been lost due to electronic power steering. There are three additional trim levels, and the option of a diesel version if you want ST looks with economy. Ford has made a name for itself for its trademark blend of great handling and supple ride quality, so it’s comfortable as well as quick. You can pick up an earlier 2.5-litre ST for less than many cars in this feature, but the ones to watch out for are post-2008 models with the face-lifted nose and interior. You may also fancy one with a Mountune power upgrade kit, which would have been fitted at a Ford dealership. This could indicate the car has been thrashed though, so watch for obvious signs of wear such as warped brakes. Be careful about modified examples in general for the same reason, and be aware that you’ll pay a fair whack in fuel costs too. The engine may be great, but it drinks petrol too. The Type R is a slightly different take on the hot-hatch recipe. 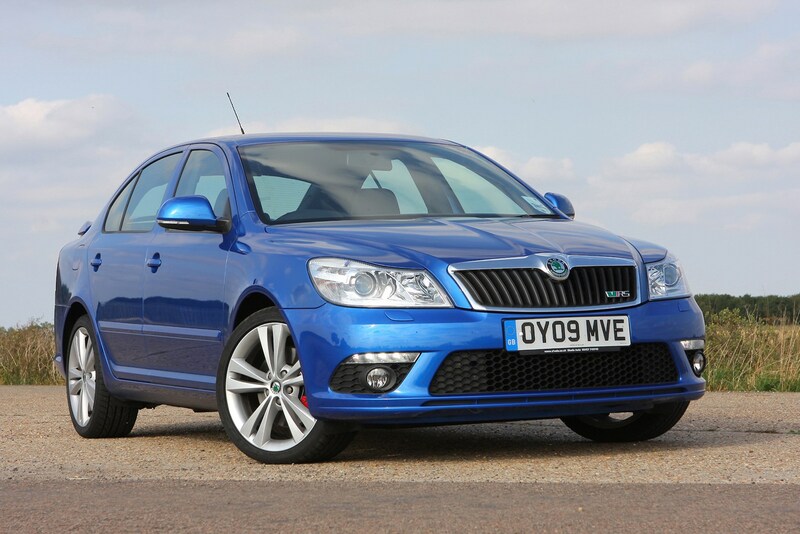 It makes do with ‘only’ 200bhp, but boasts one of the most engaging driving experiences around. Although down on power compared to rivals, it’s the way the 2.0-litre engine makes its power that provides the smiles. It uses a clever variable camshaft set-up, which means it’s fairly frugal at lower revs, but screams like a racing car when you start to wring its neck. Another thing you’re buying into with any Honda is the firm’s excellent reputation for reliability. Japanese build quality doesn’t come much better than this. If you can find a GT version you’ll get some extra kit including Bluetooth hands free connectivity for your mobile and a DVD satnav system. This will help resale value too. It might look as big as a saloon car but believe it or not, the Octavia is a VW Golf GTi underneath. It’s excellent to drive, plus it’s bigger and cheaper than the Golf too. While a diesel version was launched part-way through this car’s life-cycle, the petrol is the one to pick for top performance. An update in 2009 saw the introduction of a sharper front end and an inside revamp. You’ll be able to find some great deals second-hand, so it pays to swot up and do your research. A true brute of a sports car, the big news here isn’t the brilliant engine but how good its handling is. It boasts nearly perfect weight distribution and it’s rear-wheel driven too, which any enthusiast will tell you is the best way to get your power down. Watch out for expensive-to-insure grey imports. The ‘GT pack’ means a number of extra features such as lightweight alloys, upgraded stereo and heated leather seats. 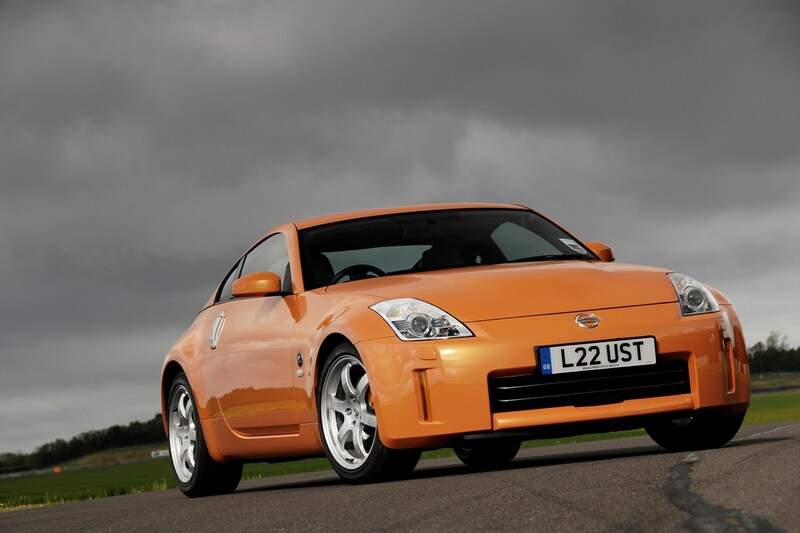 All models of the 350Z have demonstrated impressive reliability for a car with this performance, so take time to find a cherished one and it should be a satisfying experience. 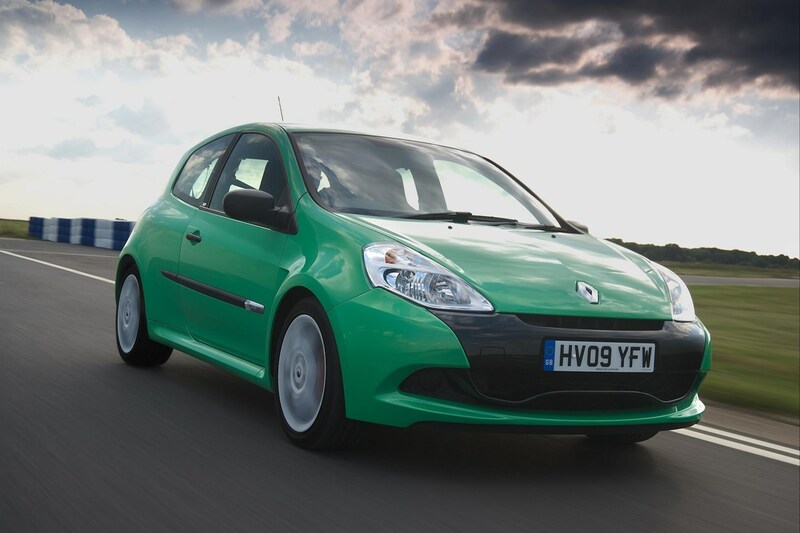 This version of the Renaultsport Clio is one of our all-time favourite hot-hatches. While the regular Clio was good it wasn’t exactly class-leading, but once Renault’s motorsport wing got hold of it all that changed. Effectively this is a Clio turned up to 11. It has a powerful petrol engine which revs without the aid of a turbocharger, which means it’s super-responsive. The chassis has also had a major revamp and the result is a car that’s as engaging as it is addictive. Inside you’re treated to a set of motorsport-derived bucket seats and details all over the cabin which remind you you’re driving something special. Watch out for cars with the Cup chassis upgrade. They do without luxuries such as air conditioning, but are the most fun to drive. In May 2009 the Clio secured a power upgrade to 200bhp. Built to celebrate Honda’s 50th anniversary, power comes from another high-revving Honda engine similar to the one powering the Civic further up the list. That combined with brilliant chassis balance and sharp steering means this is a car which is very rewarding to drive. As with the 350Z, there are a lot of grey imports which cost more to insure. A GT model means you get most kit, including a hardtop for colder climates. 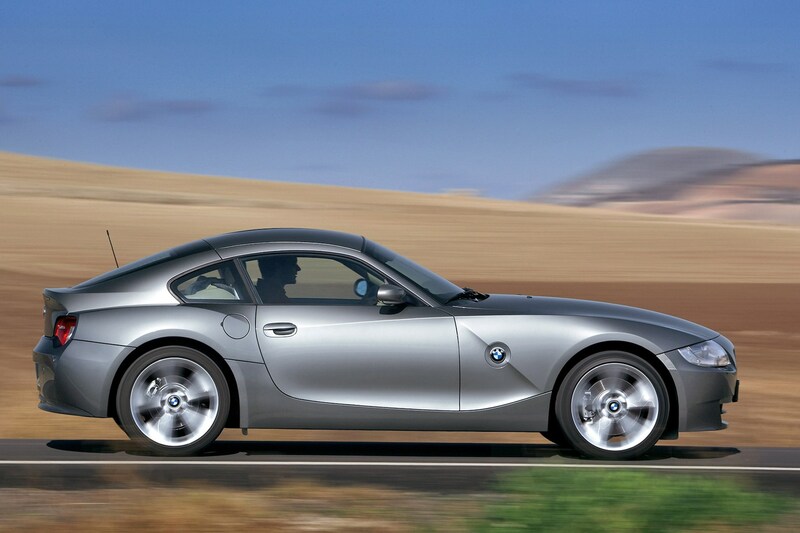 BMW’s attempt at a sports coupe came at a bad time – its rivals were the super-popular Audi TT and the excellent Porsche Cayman. That means it’s a fantastic used buy, and the shrewd will sniff out a 3.0-litre Si Sport, which offers much of the excitement of a BMW M car without the huge running costs. While manual gearbox is great, don’t dismiss the automatic either. It’ll change gears in the blink of an eye. Another car that you don’t hear much about these days is the 3 MPS. 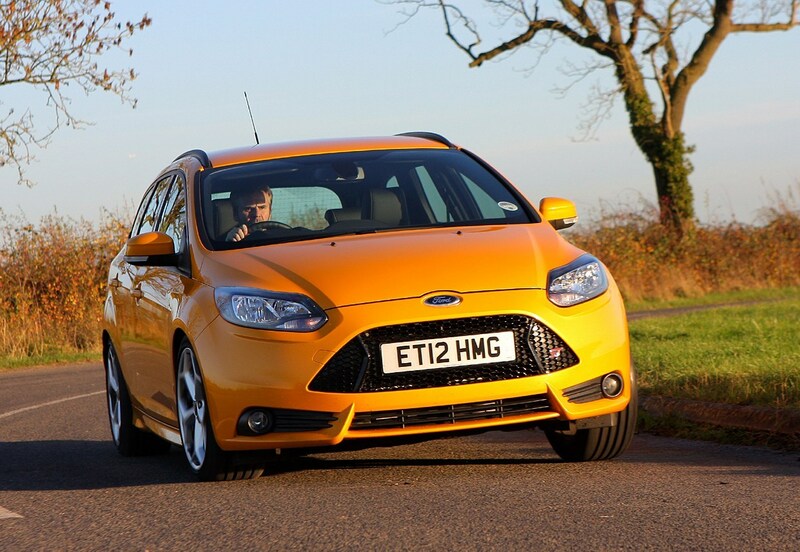 It’s a hot hatch based on the 3, which in turn is based on the Ford Focus of the same era. That means good things. 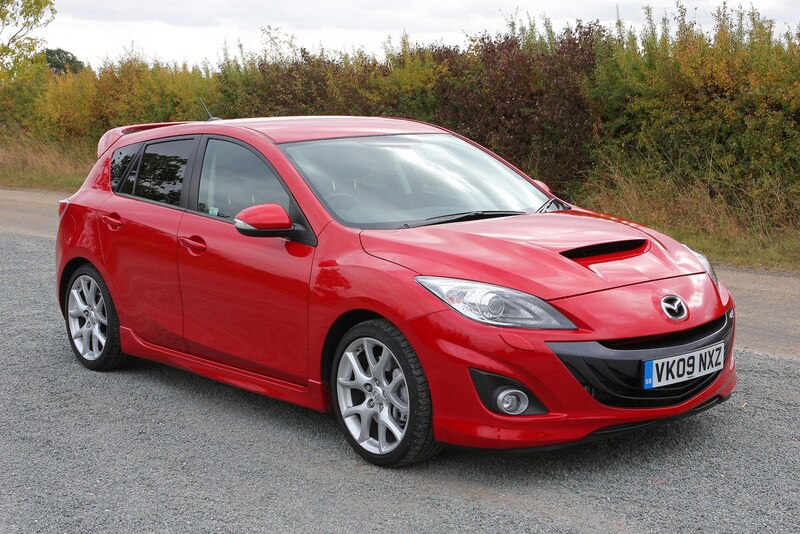 Mazda then took the engine from the 6 MPS – a far larger high-performance saloon – and dropped it right into the 3’s engine bay. 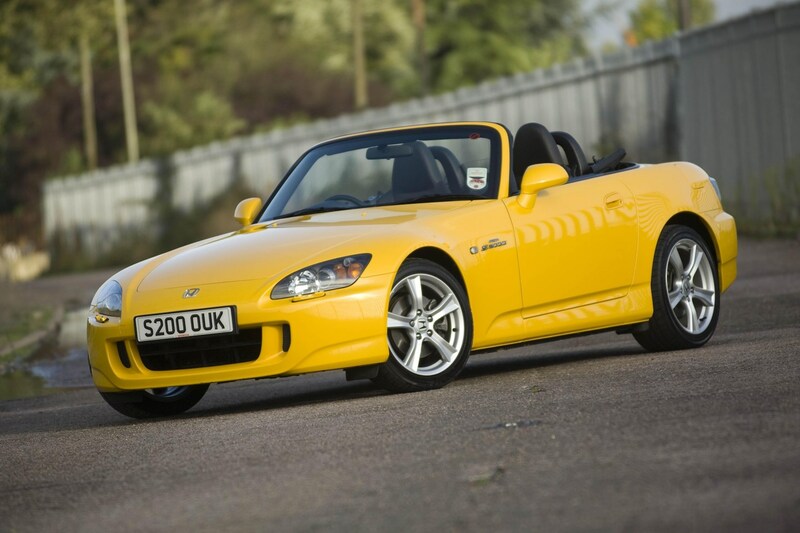 The result was a madcap attempt at a fast family car, and you can’t argue it represents fantastic value for money. You can buy a newer MPS than most of the other cars in this list, and Mazda doesn’t skimp on equipment either. Never a firm to do subtle performance cars, the Astra VXR is a muscular brute with wide arches, big wheels and a central exhaust poking from the rear bumper. It isn’t all for show, though – there are some real performance credentials here. The turbocharged engine means big power and also big fun as the front wheels battle to get the horses onto the tarmac. The best version to buy is the Nurburgring special edition. Launched in 2007, this model got extra kit including a sports exhaust, exclusive white paint, tinted windows and race-style graphics. Watch out for cars that have been modified to produce more power than standard – this VXR struggles to get its power down as it is. More would mean massive tyre bills. Brutish, thirsty and far from understated, Chrysler's 300C Hemi and Vauxhall's VXR8 offer rear-wheel drive and American V8 power. This pair - and the Vauxhall's coupé predecessor, the Monaro - are worth the effort of tracking down, and rather easier to maintain than overly sophisticated Mercedes-AMG or BMW V8s. 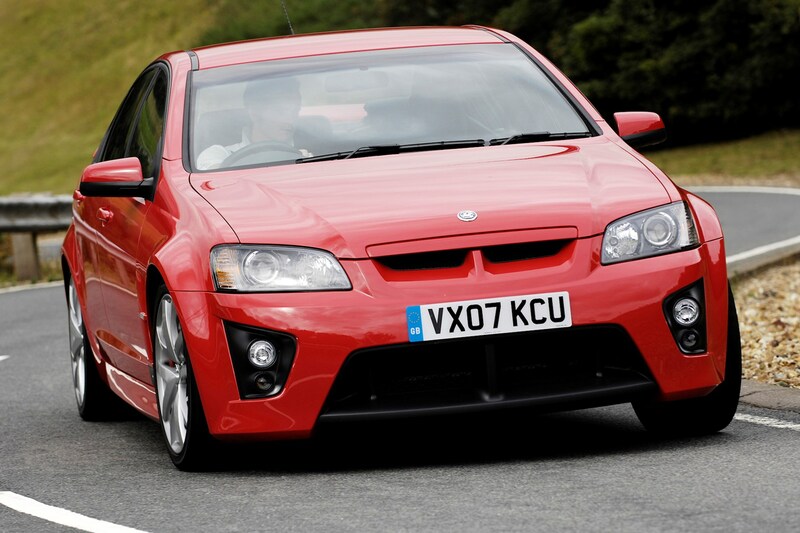 Imported from Australia and taking the place of Vauxhall's big saloons after Omega production ended, the VXR8 also replaced the Monaro coupe. 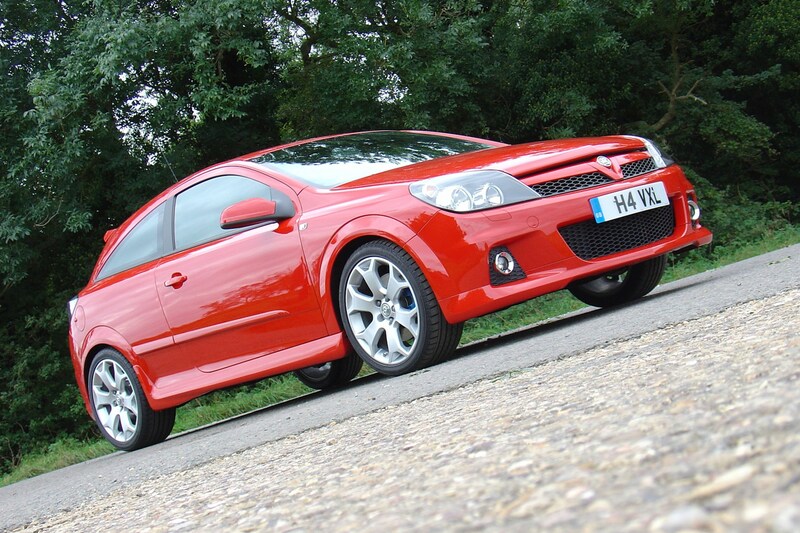 A traditional rear-wheel drive saloon, the VXR styling looks a little over the top, and for those not familiar with Vauxhall's range could easily be mistaken for a boy racer special. This is no aftermarket lash-up though - under the bonnet is a V8 lifted from the Chevrolet Corvette, and a body built for Australia's wide open roads and long-distance reliability provides the strength to put that power down well. It's cruder than a typical Mercedes-AMG or BMW M, but it will comfortably keep up with contemporaries. If you've always wanted a Lotus Carlton, this is the 21st century equivalent for considerably less money. 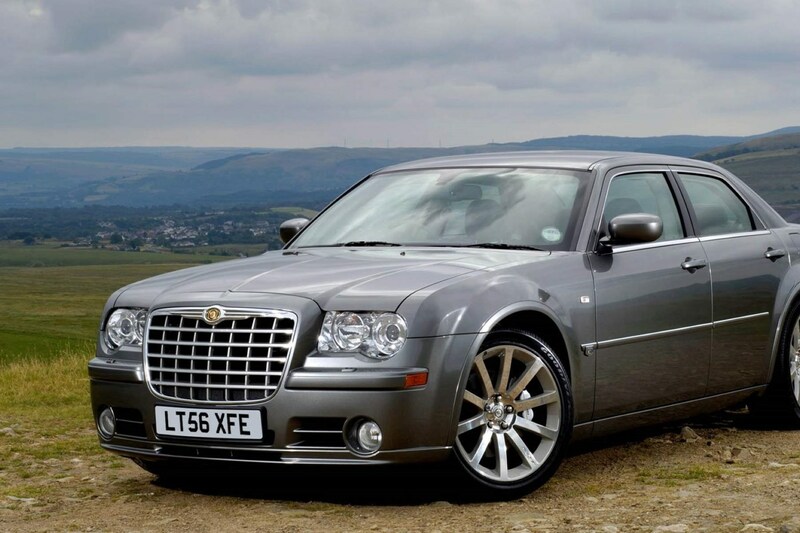 Lurking in the background of most mid-2000s American dramas, the Chrysler 300C's comic drama and retro lines ensured it carried a sinister mood. That applies just as much to the UK's roads, where - assuming it hasn't been dressed up as a bargain-bucket Bentley - the imposing front end, thick pillars and slab sides give it the air of a nighclub bouncer. Most are powered by a V6 diesel shared with the Mercedes-Benz E-Class of the era (as are some chassis components) that tarnishes the strong/silent presence - but two V8 petrol models were offered here too. Opt for the SRT-8 model and you get a 6.1-litre version of the Hemi V8 tuned for 425hp, plus suspension and brakes to match. It'll get you to 62mph in 4.8 seconds with a soundtrack to match, but only the well-informed will be able to spot the difference between it and a tired airport taxi from a distance. If you want a little more economy, the regular Hemi V8 features cylinder deactivation, and is capable of returning over 26mpg despite producing 340hp and powering the 2-tonne car to 62 in under seven seconds. Inside is a little basic, though comfortable and robust, and you'll save money by importing parts from the USA rather than going through Chrysler dealers. It’s essential you check the car you’re buying has a comprehensive servicing and maintenance record. The latter is especially important as you’ll want to know what has broken and been fixed – you can then ask the owner why it needed doing. Look out for signs that certain parts of the car have worn quicker than others. This can be an indication the car has been abused. Tyres, brakes, pedals and steering wheels are all common points for this. They can also be signs the car has been ‘clocked’. Carry out a Parkers Car History Check to make sure the car is what you think it is. The check will highlight any recorded accident damage as well as outstanding finance on the vehicle. If you’re not mechanically minded, it may pay to get an independent engineer’s report on the car. Most breakdown companies provide this service and it’ll give you peace of mind that you haven’t bought a lemon. Third party warranties may also involve an inspection before purchase. There are owner’s clubs and forums for nearly every car these days, and they’re a wealth of information for the first time buyer. Watch out for buying guides and FAQ articles, which give you the low-down on what to look out for. Can you afford to insure the car you’ve got your eye on? It’s always best to get quotes before committing to buying a performance car.